This tutorial will review the options for optimizing the performance of your SMF forum without installing additional services. If you are looking for better speed of your website, you can review the steps we have described below. 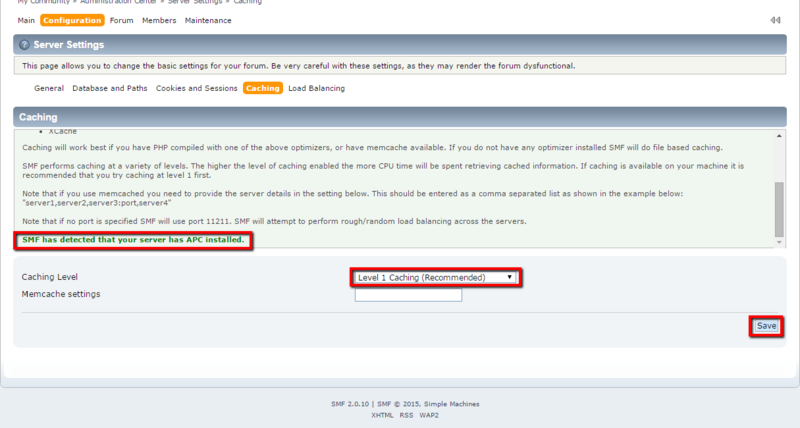 Simple Machines Forum 2.0.x comes with easy to optimize settings. The optimization of your application will improve the loading speed. In this tutorial we will review few of the amazing implemented SMF optimizations. First of all we should activate the APC caching for your account. In order to perform this we will need to access cPanel. 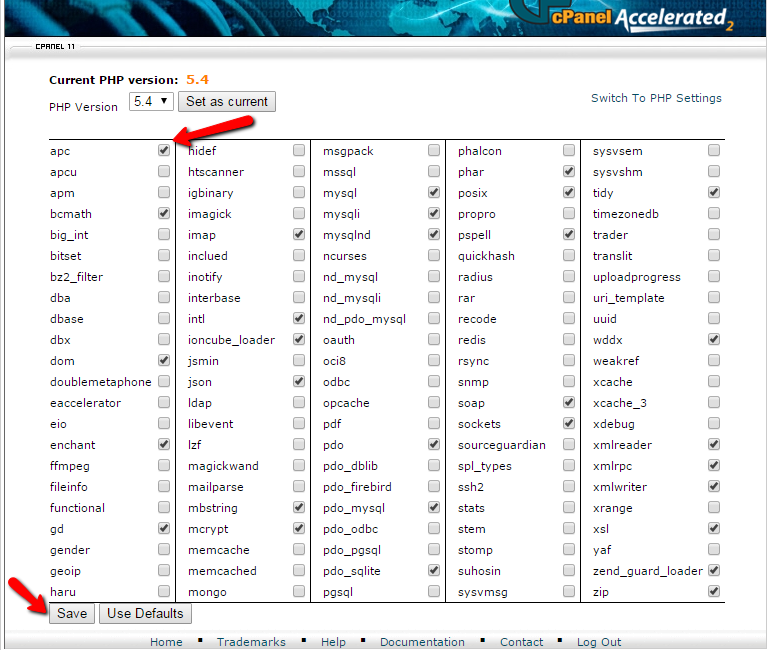 Locate the Software and Services section and click on the Select PHP Version icon. On the following screen we will need to check the apc and click on the Save button in the bottom left part of the page. SMF has detected that your server has APC installed. After that from the dropdown menu choose Level 1 caching (Recommended) and click on the Save button in the bottom right corner of the page. 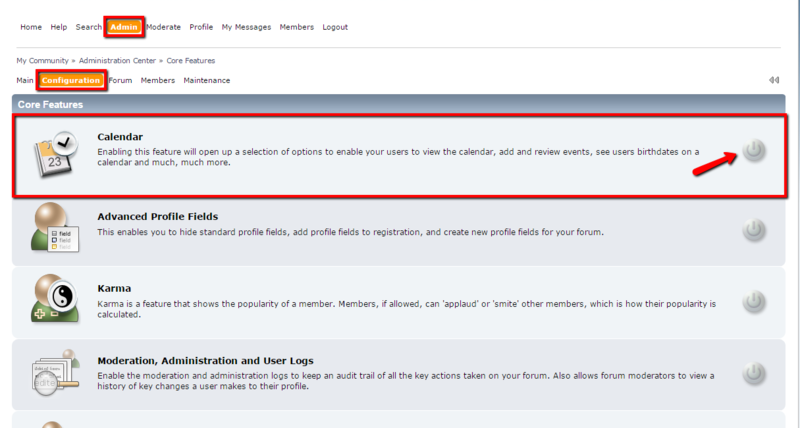 We know that the calendar looks fancy but if you do not need this feature for your forum, we recommend to be disabled. The main reason for this recommendation is because on every loaded thread the calendar “looks” for an event. The calendar can be deactivated from Simple Machines Forum admin backend -> Configuration -> Core Features. If the calendar is enabled the on/off button on the right side of the section will be green, press it to make it gray and at the bottom of the page press the Save button. 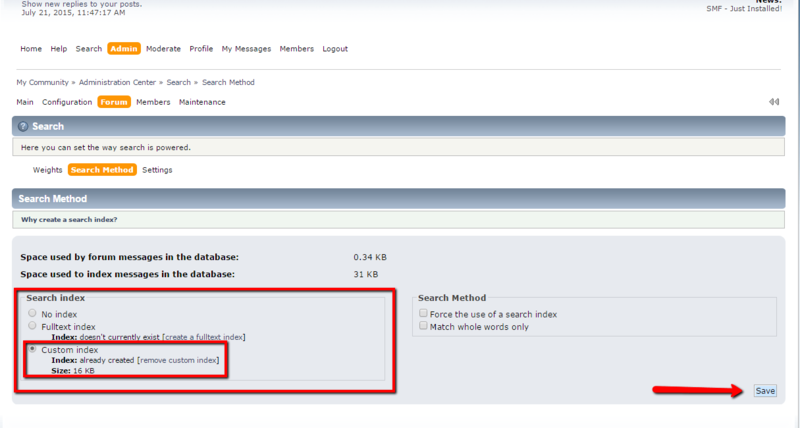 If the Search option is enabled for your forum we recommend to be set a search index. This will increase the disk space usage by your application but it will also improve the loading speed of search queries significantly. 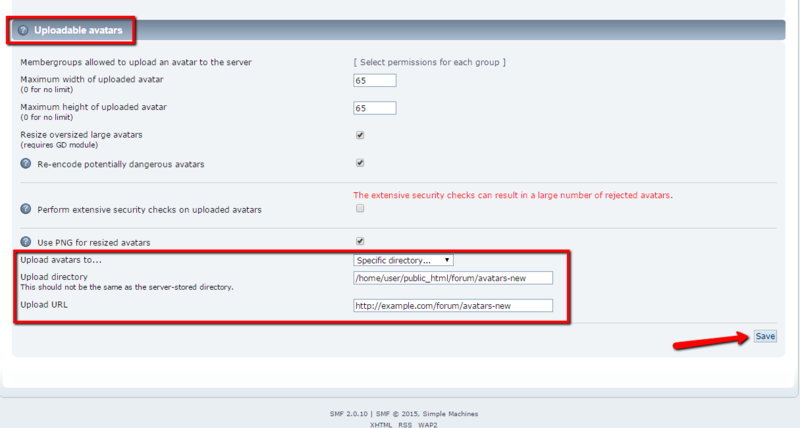 The search index can be set from the admin backend of your application -> Forum -> Search -> Search method. In the Search index field first create custom index, set it to moderate sized index and then check the Custom index radio button. After all this options are correctly performed press the Save button on the right bottom of the page. We recommend this feature to be disabled in order to improve the server performance because the recent post feature is a resource consuming process. This feature compiles the list of recent post and as many more posts, members and groups there is the more resource consuming process this will be. Access your admin account of your SMF application -> Configuration -> Current Theme -> Theme Options and Preferences -> Number of recent posts do display on board index field should be set to 0(zero) to disable this feature. After the field is set to 0, click the Save button on the right bottom of the page. You can create the new folder for avatars via your cPanel -> File Manager -> New Folder. If you are not familiar with the service, we recommend reviewing our File Manager tutorial. In order to complete this optimization do not forget to press the Save button at the right bottom corner of the page. If your members have already uploaded avatars they can be moved in the new folder via FTP. We recommend reviewing our FTP tutorial for more details on how to use it. Congratulations! You have performed successfully five powerful optimization which will significantly improve the loading speed of your SMF application.